This year l’Alternativa celebrates its 26th edition. For 26 years we've been offering filmgoers, filmmakers and industry professionals a unique opportunity to discover and enjoy screenings and activities that value creative freedom, diversity, innovation, commitment and thought-provoking reflection. 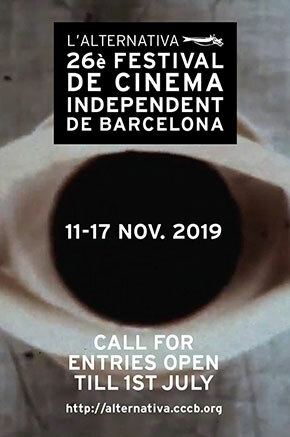 International and national competition for feature and short films, including fiction, non fiction, animation and experimental. L’Alternativa will take place from 11-17 November 2019. The main venue is the Centre de Cultura Contemporània de Barcelona (CCCB).